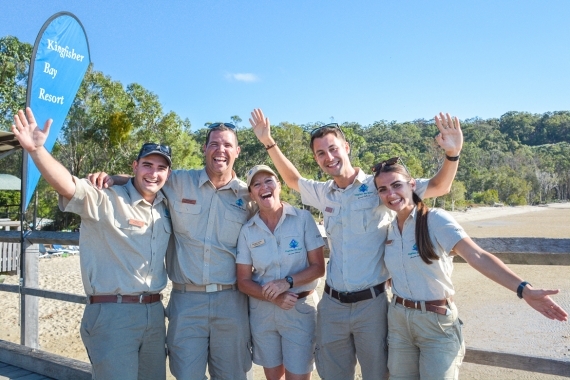 Fraser Island and You - what a combination! WHAT IS THE STAFF ACCOMMODATION LIKE? Kingfisher Bay Resort offers a variety of accommodation options on the island – all looked after by a dedicated village supervisor. The most common style of accommodation is share accommodation with small fridge and a communal laundry – this is known as donga-style accommodation. However, self-contained management accommodation is also available. Employees living in the staff village are required to provide their own linen. Televisions and stereos are not provided, though staff members are able to bring their own. You don’t have to live on Fraser to work at Fraser. A large number of resort staff choose to commute from Hervey Bay on the mainland to and from work. The first passenger ferry runs from 6.45am and the last leaves the island at 11.00pm – it’s a pleasant 50 minute journey across the calm waters of The Great Sandy Strait. ARE THERE ANY OTHER RESTRICTIONS FOR LIVE ON STAFF? 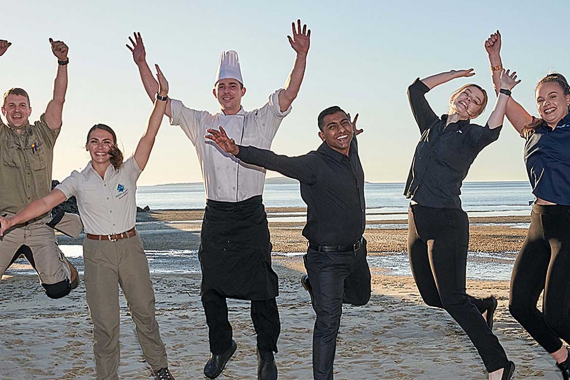 If you are wanting to live and work on Fraser Island, then you must be over the age of 18 years. The resort operates on a 7-day week, whereby all staff members have 2 rostered days off per week. I DO NOT LIVE IN AUSTRALIA - CAN I STILL APPLY FOR WORK ON FRASER ISLAND? Yes you can – provided you have a valid working visa to work in Australia. All staff members are required to provide their own shoes and matching belt. Our team will be able to inform you of styles/colours once your application is successful. We highly recommend all live-on staff members bring a working alarm clock with them. 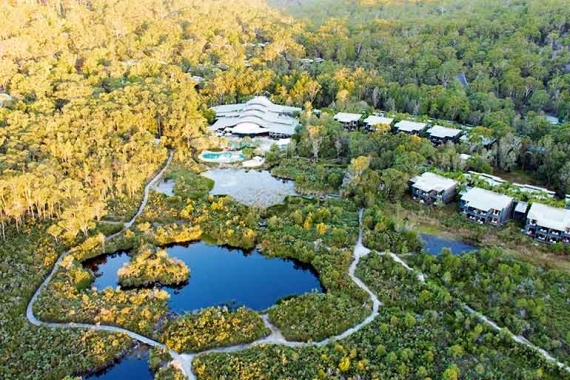 The Kingfisher Bay Resort has a Mainland Reception located at River Heads (Hervey Bay). Our Mainland Terminal staff will direct you to our ferry. The trip is approximately 50 minutes long. At Kingfisher Bay Resort, applications from passionate, customer-oriented individuals are always welcomed. Please email your resume and application to Kingfisher Bay Resort Group Human Resources Department with all your details or alternatively you can email/send your application to us attentioned to our Recruitment Coordinator.